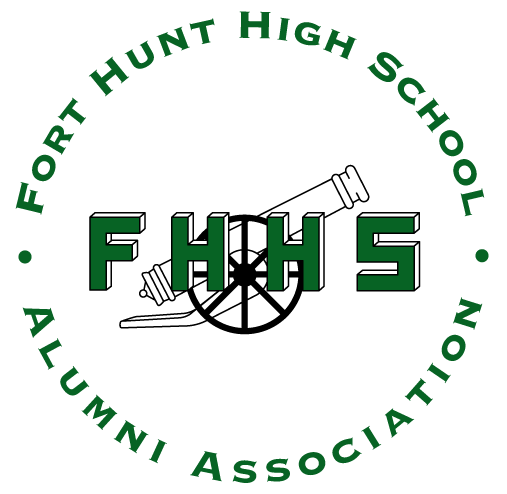 This is the Official Website of the Fort Hunt High School Alumni Association and is maintained by Terry Kinder Alers ('79), Joe Gililland ('73), and (addt'l administrators when needed, as appropriate). To access password protected pages on this site you will need to create your individual profile. You can personalize your page with information such as what you have been up to since graduation, school memories, your family, and photos. Membership on this website is completely free to all of our alums. You are not required to pay in order to create a profile or to be able to access other alum profiles. There are some real costs involved in running a website however, such as domain name registration & website hosting, so your donations are welcome! BY JOINING US YOU ARE REGISTERING TO USE THIS SITE AND YOU ARE INDICATING THAT YOU AGREE TO ABIDE BY THE RULES LISTED AT THE BOTTOM OF THIS PAGE. 1) Start by clicking on the Alum Profiles link at the top of the left navigation tabs. This will take you to a page with all the graduating years. 2) Find your year of graduation and click on it. The next page will have your classmate names, including yours. 3) Find your name and click on it. You will see "JOIN HERE" and right below it you will see "Click Here Now to complete your Profile". 4) Follow the prompts to create your Profile. The primary email address and password that you enter during this process will be used to LOG IN to this site. 1) Go to your profile page. At the bottom of this page, check-mark the box labeled "Profile Visibility". This will block Google and other Web Search Engines from (indexing) making your page information viewable to the general public. However, if you want anyone other than registered FHHS Alums to have access to your page you may leave it unchecked. Again, checking the box is how you restrict the viewing of your personal Profile to only your fellow Alums, while blocking the general public and search engines. 2) Regardless of your profile visibility setting, your contact information (address, phone, and email) will never be displayed publicly, and will only be visible to your fellow alums IF you check-mark the box labeled "Contact Details" to allow it. 3) "Whitelist" NoReply@ClassCreator.net, (e.g., add this email address to your/provider's "safe sender" list). Do this so you may receive future emails from us. Make sure this email address is safe-listed so our messages are not considered spam. If you don't know how to do this, check with your email provider or you can Google "How to whitelist my email". All contact information that you enter into this website will be kept confidential. It will not be shared or distributed. Your contact information is private: your address and phone number can't be seen by the classmates unless you grant permission on your Profile (see item 2, above). When someone clicks on your name, the only contact information they will see is your city and state and whatever information about yourself you choose to put on your Profile. Your email address is never visible, although an email can be sent to you using the contact box at the bottom of your Profile page. Note, if you either reply or send a message to someone through their Profile page, that Classmate will only receive a notification from noreply@classcreator.com, directing them to view your message on the website, where they may respond, (similar to facebook messages). Note that we will see your personal email address if you initiate a message to the website administrator(s) through our "Contact Us" form. If you cannot find your name on the Alum Profiles page, please contact us to have your name added. If you do not send us your full name, current address and phone number, you will be asked for it before we add your name to the list. We welcome classmates who went to school with us but did not graduate with us. If you change your email address, snail mail address, or phone number, please update those in your Profile so we have your correct information at all times. Most of all, enjoy and have fun with the website! These are FAQs which answers all questions pertaining to this site as well as the reunion. Please click on "Missing Classmates", then click on YOUR NAME to set up a FREE member account. Provide your work or home e-mail address, select a password (which you can change at any time), and tell us about your life since Fort Hunt High School. Add your married name, if applicable, photos, etc. Changed your email address? You log on with the e-mail address you provided during your member account set up (include domain name, such as @hotmail.com). If you have several e-mail addresses and cannot remember which one you used, click on "Contact Us" and provide your new e-mail address. Your website administrator will make the change and then e-mail you a temporary password. Once you've logged in using your new e-mail address and temporary password, change your password by clicking the "Change Your Password" link under the Member Functions menu on the home page. Who has access to my profile and personal contact information? You can choose whether your profile is publicly viewable on the website (e.g., by other classes, friends, and the general public) or restricted to registered Fort Hunt High School Alums only. If restricted, search engines and the general public will be blocked from accessing your profile page. You can also choose whether or not your mailing address and phone number are displayed; otherwise, only the City and State/Country where you live will be listed. Click on the "Edit Profile" link under the Member Functions menu in the side column, then scroll down to the bottom of the page to make your choice. Can I be notified if other alums update their profile? YES! Click on "Alum Profiles", then click on the name of the classmate you'd like to keep track of. Once he/she has registered, his/her profile will be displayed. Scroll down to the bottom of his/her profile page, click on the box that says "Notify me whenever [classmate's] profile is updated", and click on the "Notify Me" button. You will be notified by e-mail. You can also subscribe to multiple classmates by using the "Notify Me" link in your Member Functions area. You may be e-mailed information about new website features; details about upcoming class reunions, fundraisers, or events; general announcements about classmates; and other important news. Yes! You can upload a current photo of yourself, your family, pets, vacations, old photos from days gone by, past reunions, etc. -- anything you want to share -- by clicking on "Edit/Upload Photos" under the Member Functions menu on the left. There is no limit on the number of digital photos that you can store on your profile page. Each photo is automatically resized to fit on your profile page. You can also upload your own videos that you've posted to YouTube.com by clicking on the "Edit Profile" link, then following the instructions in the Help Video. And yes, you can add, delete, or replace your own photos or videos at any time. NOTE: Inappropriate pictures, postings, comments or videos, may be deleted by the website administrator(s) at their discretion. Click on "Federals Forum" on the left side of the website and you can converse with our fellow alums when they login and read the "Federals Forums". Post a response to a prior message or start your own topic of conversation by asking a question, re-living an old memory, or share your thoughts on life. NOTE: Inappropriate postings or comments may be deleted by the website administrator(s) at their discretion. Please let's keep this a clean and fun site! Does Class Creator rent, sell, or in any way profit from having our Alum's names, addresses, and personal information? How does it make its money? No. Class Creator does not rent or sell any personal profile information or engage in any marketing or solicitation to classmates. All personal contact information is held strictly confidential. Class Creator does not sell advertising on the website or display banner ads or pop-up windows. Class Creator earns income from subscription fees as well as optional domain name registration services through its ClassNames.net subsidiary. Our website content is owned and managed by our own FHHS Alumni Association members--not by Class Creator. Many schools/classes have their own personal website they built using the ClassCreator system. This site has been created for three purposes. 1) It connects all alums that do not have a class website with their classmates in order to have a reunion. 2) It re-establishes old friendships. Anyone that graduated in a particular year may want to reconnect with others even if they are not planning to attend an upcoming reunion. This gives those individuals that option. 3) It encourages alums to join and support the Fort Hunt High School Alumni Association, in particular, efforts to give back to our community through financial awards for college-bound seniors at West Potomac High School. Yes, please do! Even if you do not plan to attend upcoming reunions, we encourage you to join the alumni association. Yes, please! Volunteers will be necessary to make sure that our reunions are a success. A) BEHAVIOR. The website administrator retains the right to edit or remove any inappropriate content, photos or profane words. Anyone who is abusive in any form to other classmates or causes any perceived distress will be warned once. If there are additional problems caused by the same classmate they will be disallowed complete access to our website. Please.....lets keep this a CLEAN, friendly, and enjoyable site for everyone. B) PRIVACY. THIS SITE IS PASSWORD PROTECTED TO ENSURE THE PRIVACY OF YOUR PERSONAL INFORMATION. PLEASE RESPECT THE PRIVACY OF YOUR CLASSMATES AND DO NOT SHARE YOUR PASSWORD WITH ANYONE, NOT EVEN ANOTHER CLASSMATE WHO HAS OR HAS NOT REGISTERED. ONLY CLASSMATES WHOSE NAMES ARE LISTED WILL BE ABLE TO REGISTER. IF YOU KNOW SOMEONE WHOSE NAME IS MISSING AND YOU CAN VERIFY THAT THEY BELONG TO THIS CLASS, PLEASE SEND THEIR INFORMATION TO THE WEBSITE ADMINISTRATOR. The email addresses contained on this site are to be used only for networking with each other and are not to be included in any mailing lists for sending "forwards", spam, solicitations, and other junk mailings. C) LOGOS. Both of the logos below are the professional design work undertaken voluntarily and without pay by Temple Musselman (Whitson). As Designer, Temple retains full ownership and copyright priviledges with full use permission granted to the Board Officers of the Fort Hunt High School Alumni Assosciation (FHHSAA). Limited permission is further granted to all FHHS alumni for appropriate use which may include: email, facebook posts, postal mail, banners, flyers, swag, and other advertising media wherein the logo and related content are intended to promote the FHHSAA, or our reunions and events. It is not appropriate to use any FHHSAA logo for one's personal profit or gain, or as part of an attempt to slander or libel the FHHSAA. Express permission from an officer of the FHHSAA Board is requested for any use outside the parameters described above. The reunion planning committee will be using the "FHHS 50th Anniversary" logo (above) for clothing and other items that will be available for purchase soon, in advance of July 2013. The Association will not profit from our merchandise sales: if any profit is collected, all proceeds will go toward funding reunion events and scholarship awards for West Potomac High School. Availablilty of commemorative merchandise is offered primarily as a pass-through service of the Association to our alumni and to the Fort Hunt Community for your personal enjoyment and memorabilia. Most of our fundraising efforts will not be dependant upon merchandise sales. Rather, from your generous donations and from local sponsors. BY JOINING US YOU ARE REGISTERING TO USE THIS SITE AND YOU ARE INDICATING THAT YOU AGREE TO ABIDE BY THE RULES LISTED ABOVE.